Holding your tax deed investments? 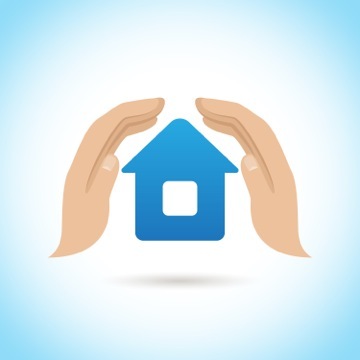 Why you still need title insurance. It is common for a tax deed investor to dismiss the need for title insurance on tax deed properties they do not plan on selling. But holding a tax deed property without title insurance is putting the investment at major risk of losses, or unplanned costs. The case for getting title insurance on tax deed property an investor intends to sell is clear. Of course any investor wants to sell their property via General Warranty Deed to a buyer at full fair market value rather than selling via Quit Claim Deed. But why should an investor secure a title policy on tax-deeded property they don’t plan on selling? 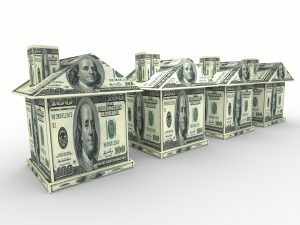 First of all, if an investor plans to buy and hold a tax deed property and wishes to refinance in order to draw some cash for reinvesting or make substantive repairs to or improve the property, a lender ** will require the property have title insurance. Secondly, properties bought at tax deed auction are particularly susceptible to risky defects in title by virtue of the fact they are tax deeded and come with clouded title. These types of properties often have issues in the back chain or clerical errors in noticing interested parties. Think what might happen if a listed or undisclosed heir was missed during the required pre-auction noticing done by the county clerk. That leaves the door wide open for an adverse possession claim by that heir in the future, and without title insurance this could pose a risk to the investment and great financial loss if the claim is proven valid. The same goes for a mortgage lender. Mortgages are wiped out with a tax deed sale so long as the bank was properly noticed of the sale as required by Florida Statute 197. 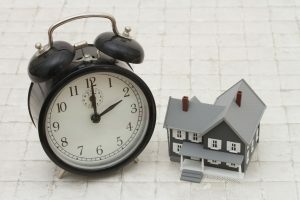 If a mistake was made during noticing and a mortgage was entirely missed then the bank can come forward and potentially un-do the sale if the surplus money doesn’t satisfy the outstanding lien. This is where having title insurance on your retained tax deed property is essential. Title insurance is a one-time purchase providing complete coverage for as long as the insured owner or their heirs hold title to the property. A title insurance policy will satisfy valid claims against the insured title and all legal expenses of defending against the claim. So, investors in tax deed property should not hesitate to get a title insurance policy whether they plan to sell or not. Because without it, the tax deed owner has limited protection against financial loss from claims coming forth due to clerical errors in the tax deed sale process or defects in the title. Call us on our toll-free number 1-855-680-4908 or email us at info@cleartosell.com to find out how we are helping tax deed investors all over Florida receive insurable title with our certifications much faster and less expensive than quiet title action! You just acquired a piece of land from a tax deed auction and there is a mobile home on it; what does this mean to you as purchaser? Do you now own the mobile home as well? Can you move it off of the property? We have had the opportunity to assist our clients with quite a few mobile home issues lately, and we decided to write this post to help answer a few of these questions for your benefit too. The first thing to determine is if the mobile home is included as part of the parcel that you purchased at auction. Some counties will list the mobile home Vehicle Identification Number on the tax deed itself, but other times you will have to dig a little deeper and it is not always easy to establish that the mobile home is part of the parcel of real property. 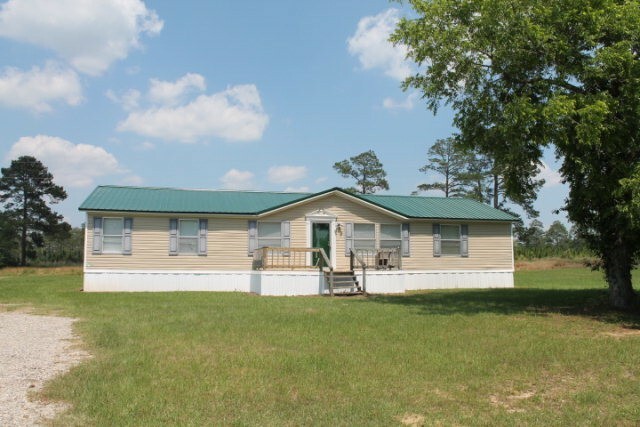 Some outside considerations to determine if the mobile home is part of the parcel you purchased at the tax deed auction are: 1) Is it permanently affixed to the land? 2) Are standard utilities connected? 3) Has a ‘Real Property’ decal been issued by the Department of Highway Safety and Motor Vehicles (DMV)? 4) Was the property previously claimed as homestead? 5) Was the mobile home owned by the same person who owned the land prior to the tax deed sale? 6) Was the mobile home part of the basis of the taxes that were part of the tax deed sale? You can contact the local Property Appraiser and DMV for the county where the property is located for more information. In the event the mobile home was sold as part of the parcel, you should be able to go to the Tax Collector with an Application for Title, a copy of the tax deed to establish your bill of sale, and the property card to obtain the transfer of title to the mobile home for your benefit if it has not been retired. For our clients, we have been able to assist in getting this straightened out with the varying county Tax Collectors and helping them establish procedure for these types of issues. What if there is a mortgage or liens on the mobile home? Just like any other real property sold at tax deed auction in Florida, the third party interests are extinguished if they were given proper notice of the sale prior to the auction, with the exceptions as provided by statute. If you would like more information on the survivability of various liens, watch our Senior Staff Attorney, Megan Schmidt’s, presentation at the 2016 National Tax Lien Association conference here! Now, if the mobile home is not part of the parcel of real property, then technically it is still considered to be the personal property of someone else, like a car. The first indication is a ‘Mobile Home’ decal from the county tax collector’s office, and most likely the owner of the mobile home does not own the land where it is sitting. So how does this second scenario affect you as the purchaser of the vacant land? Since the mobile home is considered personal property of someone else you will need to get the County Sheriff involved in moving the home and/or getting an eviction order. If you are unable to get the title from the DMV, and you want to keep the mobile home, you would likely need to file a Quiet Title Action in order to obtain a formal decree from a Judge that the mobile home should be considered Real Property and conveyed with the land. The success of this Quiet Title Action will depend in large part on the information you are able to gather from the property appraiser as outlined above, and whether the mobile home is occupied or not. If you would like more information on this issue or have any other technical questions regarding tax deeds, schedule a complimentary attorney consultation with one of our highly experienced real estate attorneys here! Don’t Buy Vacant Land at Tax Deed Auction Before Reading This! Cleartosell recently exhibited at an event where we spoke with a tax deed investor who mentioned that he prefers buying vacant land at auction rather than land with structures on them because of the lower maintenance and easier upkeep involved. Since we normally deal with investor clients who buy single-family homes or condos to flip or rent out, we investigated the issues associated with tax deed vacant land and share our findings below. So why should you consider buying tax deed vacant land? 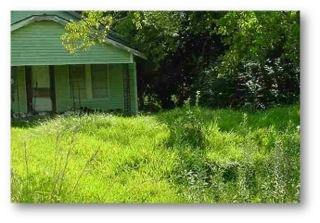 If the task of rehabbing and maintaining a house doesn’t appeal to you, then vacant land is the way to go. 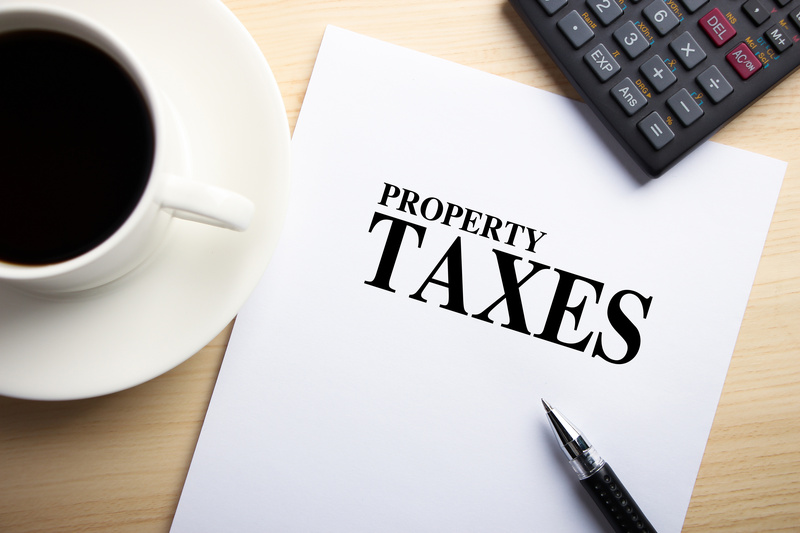 The lack of a structure on the property comes with an array of advantages for a tax deed investor both before and after auction. The absence of a structure makes it considerably easier to inspect the property prior to bidding at auction and without previous owners or tenants residing there eliminates the burden and expense of eviction after auction. The right vacant land can be essentially a “hands-off” investment and a valuable addition to an investor’s portfolio. Some investors would prefer to bypass the live auction scene and purchase tax deeds over the counter instead. The list of lands is a great place to find vacant land at reasonable prices and may be purchased over the counter in the county of choice. Vacant land is often overlooked at live auction because investors have their sights set on more valuable properties with houses that are auctioned for pennies on the dollar. This eliminates major competition for investors seeking only vacant land, but be extra diligent in your research when buying from the list of lands. You should first locate the parcel via GIS and conduct a drive-by if possible to be sure you are aware of any major flaws that might have sent other investors running the opposite direction and not simply overlooked from lack of interest. Other obvious benefits such as lower property taxes and requiring less upfront cash to acquire make vacant land appealing. This class of asset can be a great way to get your real estate investment business up and running. But alas, where there are pros there are always cons, and this type of property comes with its own unique set of risks and down sides to consider. A tax deed investor we know once bought a seemingly nice piece property only to discover then entire property was a water conservation easement that could not be removed. A property that cannot be used is difficult to sell and can be a massive set back to your business. 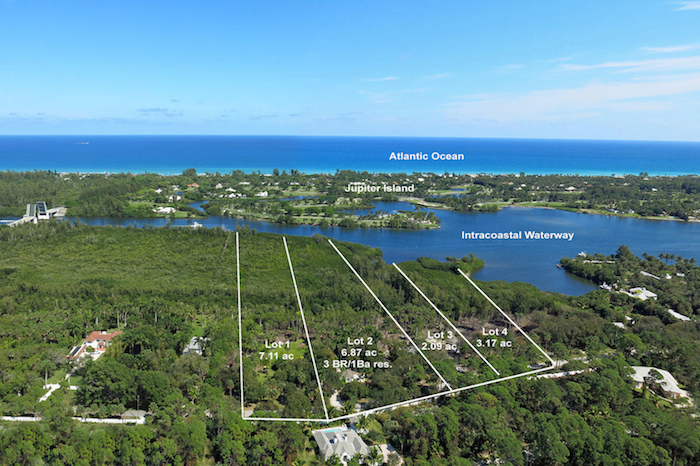 There are other types easements to look out for including roads and pathways crossing the land for public access purposes or buried gas pipelines that are transferred upon sale of the property and might be permanent. Furthermore, the removal of easements can get legally convoluted and outcomes could differ depending on specific language of easement, interpretations of the courts, and state law. During your pre-auction due diligence look for land boundaries, drainage points, swampland, etc. all of which need to be identified to avoid blindly bidding on a potentially useless property. Assess the potential for existing or future city liens for trash dumped or unsightly conditions from lack of upkeep. Being responsible for years of violations accruing at $200 per day is not an ideal investment! There are many real estate investing professionals out there that give very helpful advice in solving problems for investors from the beginners to the experienced. Conferences and webinars held by organizations such as National Tax Lien Association are great ways to hear advice from experts in their fields. But just like there are true experts with sound advice, there are also sources from which advice is not as legitimate. Protect your investment strategies and make sure that where you obtain guidance is an accredited source before following it. After reading about many of the most widely believed myths in the real estate world, a few stuck out as the most common and harmful. 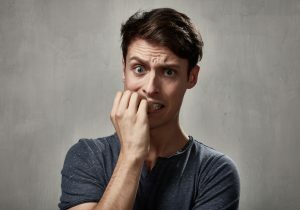 One of these common myths that cause investors to give up too early is the belief that investing in real estate is a monstrous responsibility that will drain all of your time. While it is true that it requires dedication and perseverance in order to be successful, if you manage your time right then every second of every day does not have to be sucked up by your investments. One of the best pieces of advice that is given by seasoned investors for time management is to have a clear business plan and goals before getting started. Because each type of real estate has its own set of risks and resources needed, decide what kind you want to invest in so that you may prepare and stay focused. Do you prefer wholesale or Fix and flip? Will you invest in Commercial or Residential real estate? Have all your finances lined up so there are no surprises along the way. In this fast-paced field there is no time for miscalculations on budgets. So many investors are drained of time and energy because they try to do everything themselves to save money. No one can be a specialist at everything because we are only human. This is why it is important to have a solid team behind you made up of essential players such as a financial partner, a real estate agent, an attorney and a trusted contractor for repairs and maintenance. Andy McFarland, a successful wholesale investor from www.iloverealestatestories.com, gave some great advice on a podcast interview for www.flipjl.com. He suggested hiring a project manager to oversee your projects because managing people alone is a full time job. He explained how coordinating people is a difficult task so having someone with the ability to do that for you and do it on time and within budget is a great resource for your investments. There are sites such as www.Zillow.com, www.angieslist.com, and organizations such as the National Association of the Remodeling Industry that can recommend certified contractors and project managers that fit your criteria and budget. As your portfolio grows, so do the responsibilities. The little things start to add up over time and managing the details can get very cumbersome. In the same podcast as mentioned above, Andy told the story of how he slowly brought people on board to help him with tasks. He explained how simply hiring an assistant to answer phone calls alone freed up an immense amount of time and created less stress for him to focus on bigger tasks. Search for personal assistants through friends and family or sites such as www.care.com and www.greataupair.com. 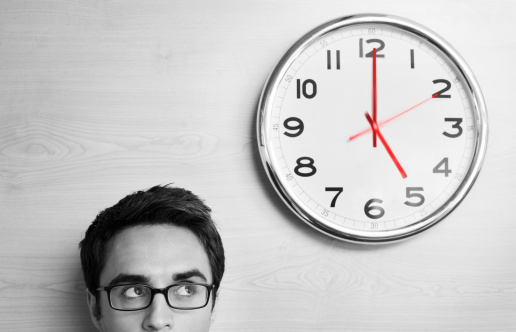 You will be surprised how much time those menial tasks actually steal from your day. 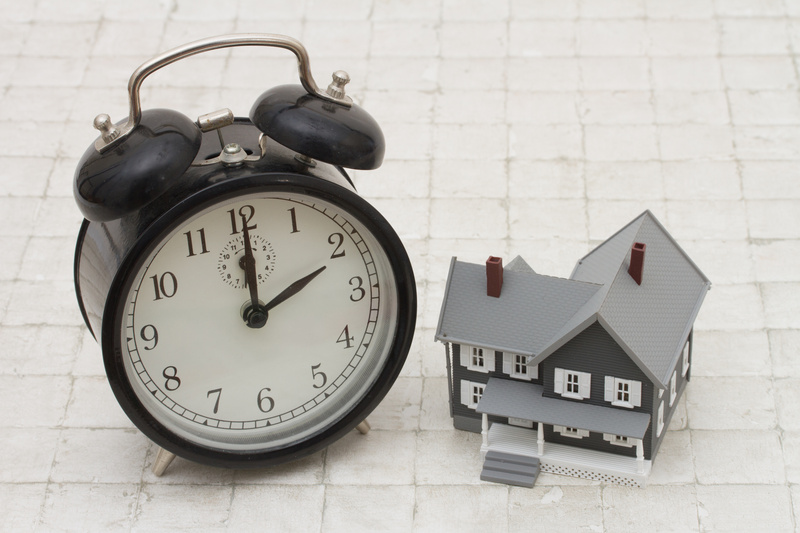 Real estate investing does not have to take over your life and drain all your time. There are many time management solutions that can be used to simplify your investments making them quite manageable. It is more than possible to have an abundance of success in real estate if you have a set game plan to focus on and the right partners that have your back along the way. Obviously the recommendations here in may well increase the overall costs of investing, and therefore reduce profit margins, but being sure of a small margin, rather than running the risk of a high margin deteriorating to nothing is the secret to successful real estate investment. Technology has a way of simplifying life in the most glorious ways, but doesn’t it feel like sometimes character is lost in exchange for efficiency? From the late 90’s into the mid 2000’s, there has been a vast shift from counties holding live, in-person auctions toward online bidding auctions through the help of various technology providers such as Grant Street, RealAuction.com and Bid4assets. Not all counties are online yet, but the rate of change suggests that someday soon they very well may be. There are many reasons that online bidding is more efficient and cost-effective for the clerks. For the bidder it has some helpful advantages as well. For example, since the auctions are online, the bidder’s ability to use the internet’s resources during the auction are extremely helpful in conducting due diligence allowing one person the ability to bid on multiple properties at once. Holding auctions online also eliminates some forms of auction fraud and collusion that may happen during live auctions. The online auctions have proven helpful in a time when county budgets are under pressure. 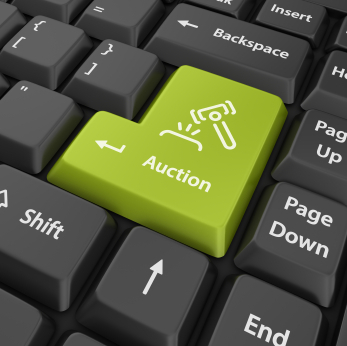 The switch to online bidding does solve many problems that live auctions possess. However, at the same time it is spoiling traditions that many investors believe in such as networking with other investors, professional development and weeding out the serious investors from the not so. There are surly others out there like Sandra who are disappointed in the switch to online.